People have their own favorite choice when it comes to choosing running shoes. Usually, the choice is determined by their own favorite brands. If it is about running shoes, there is one brand you need to consider. This brand goes by the name Reebok. 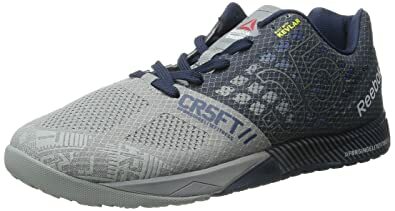 Reebok has many good-quality running shoes to choose. 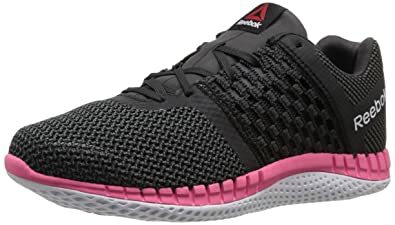 If you can’t look for them by yourself, let us tell you 7 best Reebok running shoes to consider here. We will list you the ones that are priced under $150. It should be affordable enough to afford. 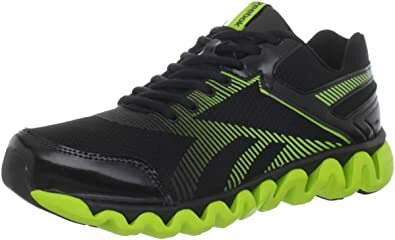 Upon your first look at it, we are sure that you would think this best running shoe from Reebok has rather bulky body design. However, there is nothing wrong with that. It still looks cool with white, steel, and black color combination. It has the mesh upper with the woven midsole. Moreover, it has padded collar, making it all the more nice looking. Of course, this shoe is also made with 3D foot scan and rim compound for fit and support. If you want running shoe with a trendy look on it, this running shoe might be the right choice for you. Rather than having perforated layer or mesh upper in ordinary colors, this shoe has Z-Pump printed on it. There are various color options to choose, but it being designed in black, blazing pink, and white just look stylishly cool for women. It has lightweight, seamless compression sleeve. Because of that, the shoe can fuse the pump technology to any foot. This should make one reliable choice. 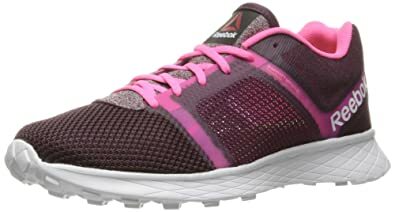 Coming with great color options, this one of the best Reebok running shoes sure is designed to be strong and fashionable at the same time. It has multiple color’s combinations you can choose. This shoe is made to be really durable with Kevlar material for both support and protection. Its shape is also re-engineered so that it can fit your foot more. You even get NanoShell midsole to support your feet when doing medial and lateral movements or even heavy lifts as well. 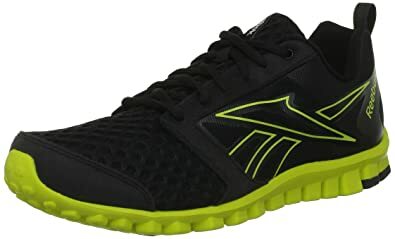 This kind of best Reebok running shoes is also worth to consider as well. You can first compliment its look when it comes to this shoe. It is made of synthetic and mesh with the crossing pattern of curved lines on the shoe’s sides. It looks nice with the combination of slate, crisp blue, and white colors. From its design, you get rubber sole for great traction, padded tongue and collar for more comfort, and MemoryTech footbed for responsiveness. You get a nice shoe to wear and run with from Reebok here. When it comes to women, pink is the best color to choose. 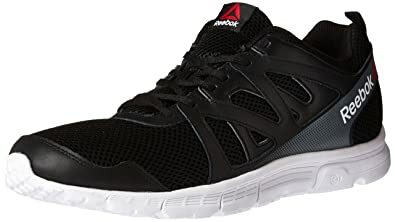 However, to make it look cool on running shoe, it would be best to combine it with black, white, and silver, just like what you can find in this shoe here. Interestingly, the pink is used to make the striped pattern and outsole, making it looks beautiful yet still sporty to wear. It features leather/mesh upper for both support and comfort. There is also ZigTech used in it to offer cushioning, 3D Ultralite for natural foot strike, and more. You can only notice how nice it look is by looking at it closely. Even with a simple design, the mesh upper makes a pattern on the shoe. It makes up the basic design it is made from. Even with ash grey, black, and white colors, it has nice look worth to consider. Also, it is definitely lightweight to run with. There is Molded MemoryTech insole that is needed for support and comfort all throughout the day. Even the geometric layered bottom is engineered for more ground contact. It makes a great choice indeed. This shoe we have the last in this article has a quite common design on it. However, it has the mesh upper with rather bigger round holes on it. This is what makes it look different. Just like the others though, this one is made of synthetic with rubber sole. RealFlex Technology is used with multi-directional nodes in its design. It is meant to both flex and stretch natural motion. There is also carbon rubber heel strike and forefoot used in its design too. All of this is what makes it worth to be one of the best Reebok running shoes to choose. It is reliable and comfortable. You can expect no less from Reebok.